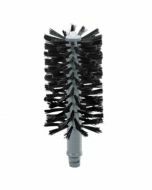 This genuine replacement middle brush for Spulboy glasswashers is designed to fit Spulboy Twin Go and Spulboy Neptune glasswashers with a standard 18cm diameter. 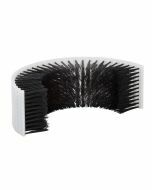 The middle brush should be replaced regularly to ensure effective cleaning of glass base and removal of debris build-up that can affect beer head retention. All accessories that we sell are genuine Spulboy accessories for Spulboy brush glasswashers. 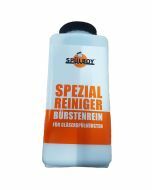 To achieve a perfect washing result we recommend you only use genuine Spulboy accessories. 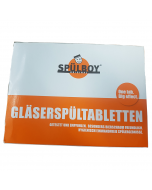 We offer glass washing tablets and special cleansing agents, especially developed for Spulboy brush glasswashers. You can also convinently order from us any other accessories that you might need for your Spulboy.